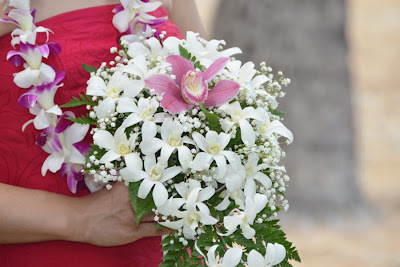 Beautiful purple deluxe orchid lei and Bride's Orchid Bouquet. 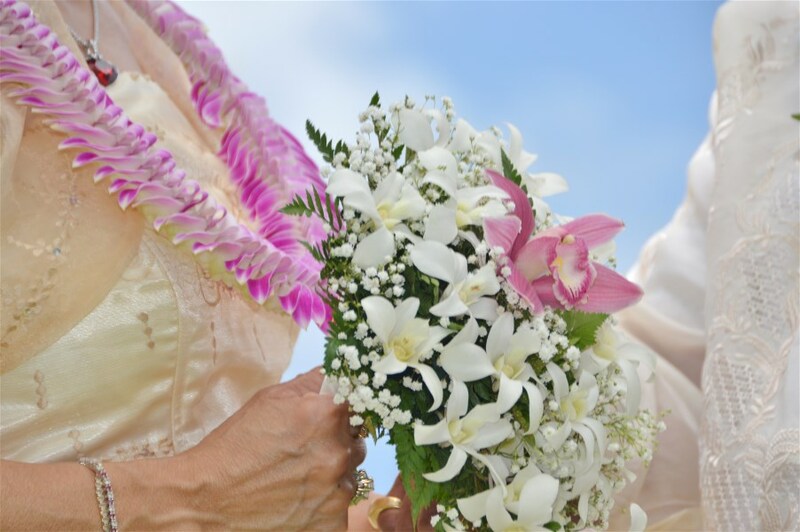 The Bridesmaid has a standard Flower lei. 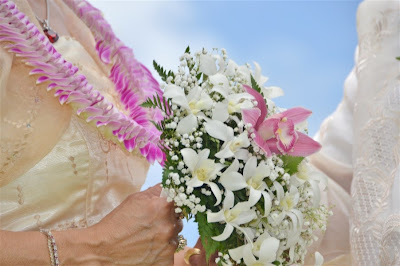 She holds the Bride's bouquet during the exchange of vows.